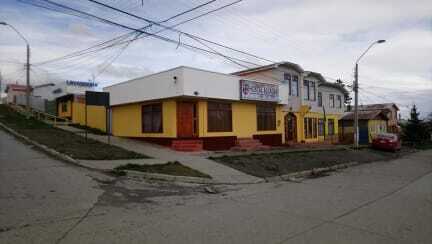 Our Hostal was inaugurated in 2004 as a small place of accommodation in Puerto Natales. Today, 14 years later, we have the privilege of being the first Hostel Superior Tourist Category Certified with Seal Q (Quality Tourism) in Puerto Natales. We have a restaurant, bar and cafeteria. Other services are Storage Room, Rent of Equipment and Souvenir Selling. We also offer a daily Free Walking City Tour Around the city. We are located just 2 blocks from the Bus station and 4 blocks from downtown. You can get everywhere by walking from our location. Restaurants, markets and the main lookout are very near from the hostel as well as the pier and some of the most relevant tourist attractions and landmarks of the city. 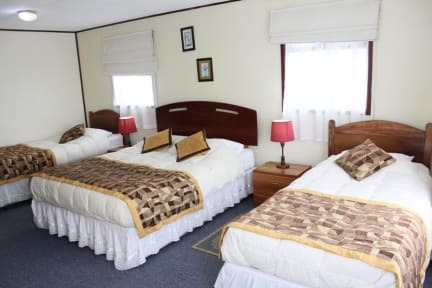 All the rooms are incorporated with private bathroom, Free Wi-fi, central heather, American Beds and Cable TV. Towels, shampoo and soup are included. Hot water is working 24 hours. Furthermore, we have several common areas where the guests and travellers will be able to exchange past experiences and future plans. The VAT tax can be exonerated if the guests are not Chilean citizens or residents in Chile and they hand in at the check in moment their corresponding immigration card (tarjeta de inmigración).